Calling all mint lovers! This pretzel is for you! 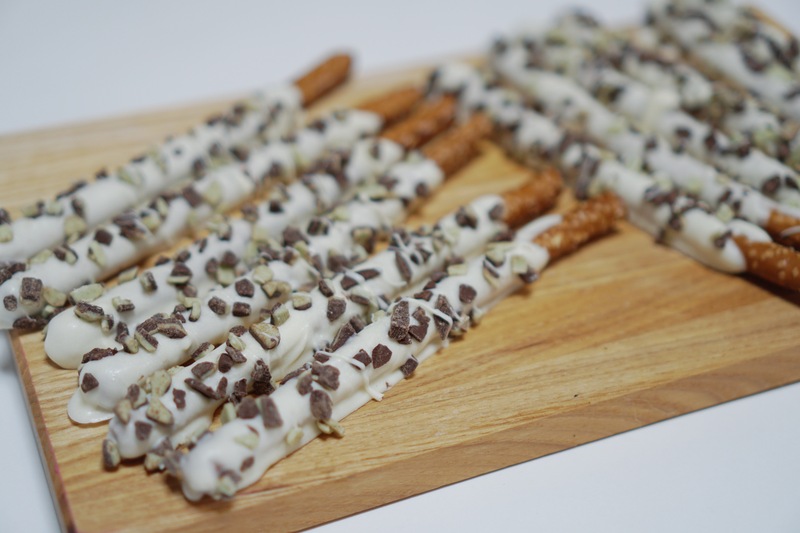 Each pretzel is covered in a vanilla candy coating and topped with crushed mint and chocolate. 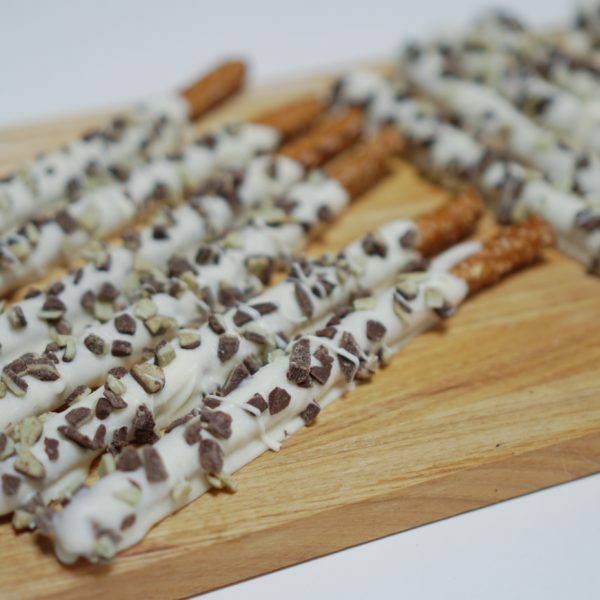 All pretzels are created when your order is placed and packed to guarantee the freshness of your order! Some Pretzel Crazy pretzels are made with nuts/peanuts. Since all pretzels are made in the same facility, there is a possibility that any of our products may contain traces of nuts/peanuts. If you are allergic, we recommend you not consume our product. We apologize for this inconvenience.